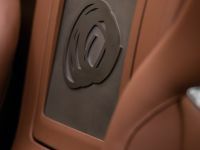 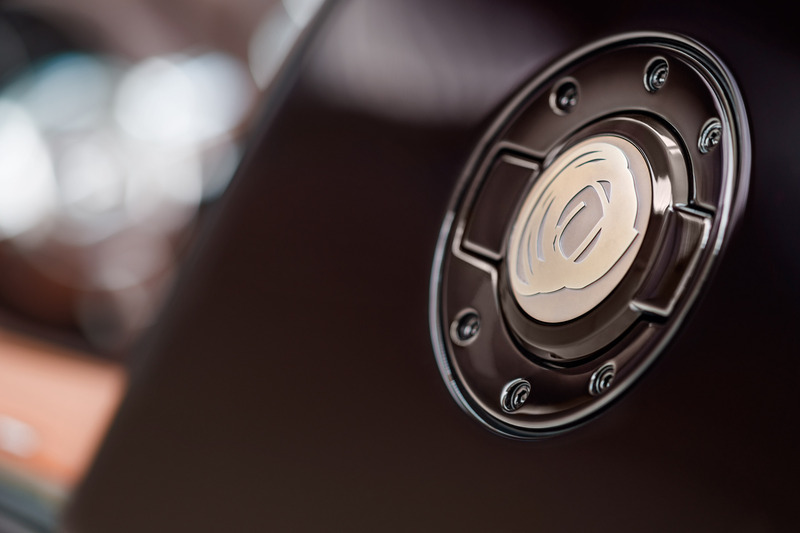 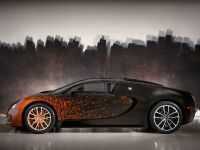 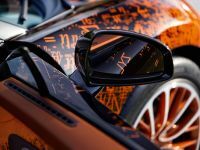 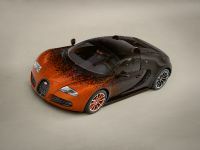 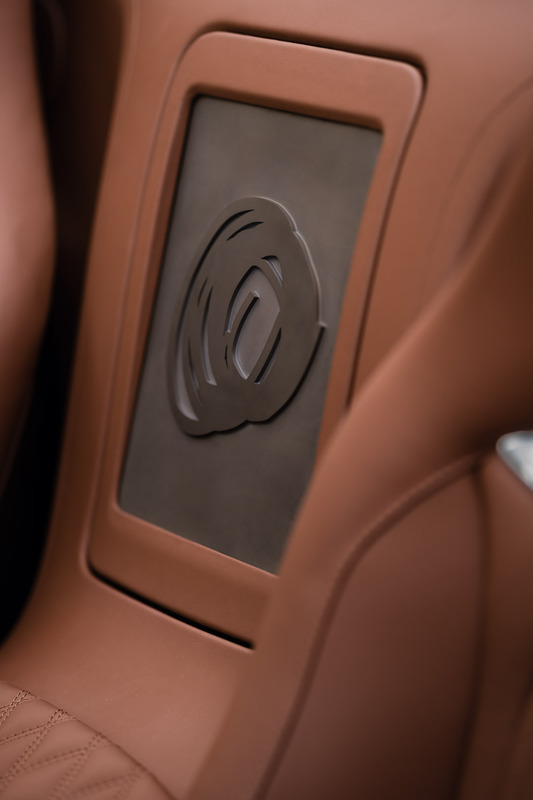 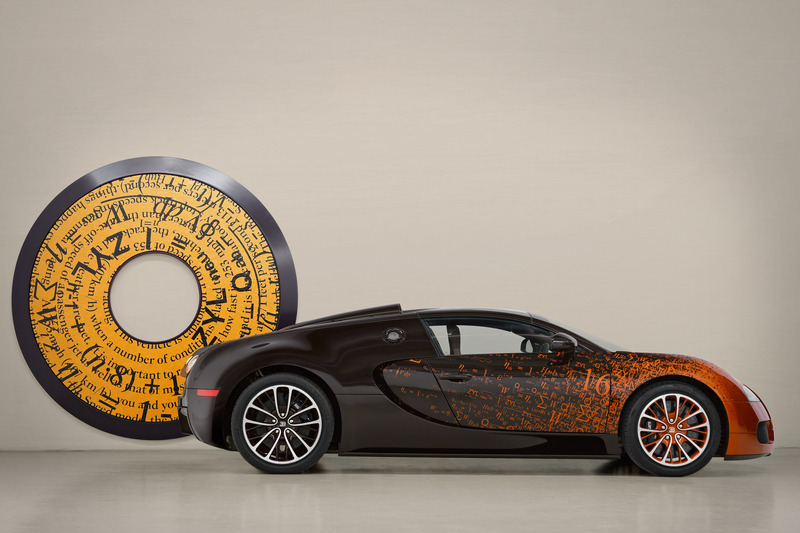 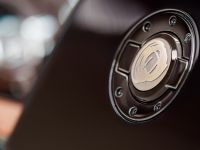 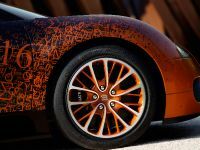 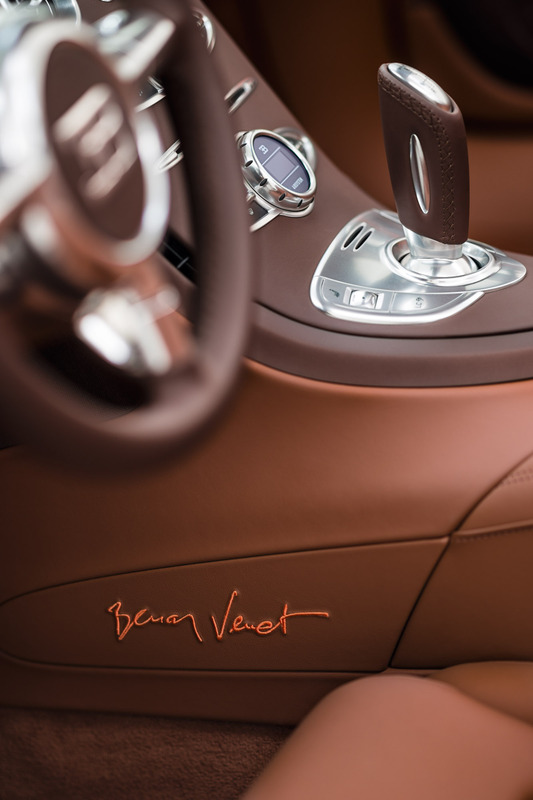 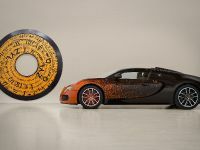 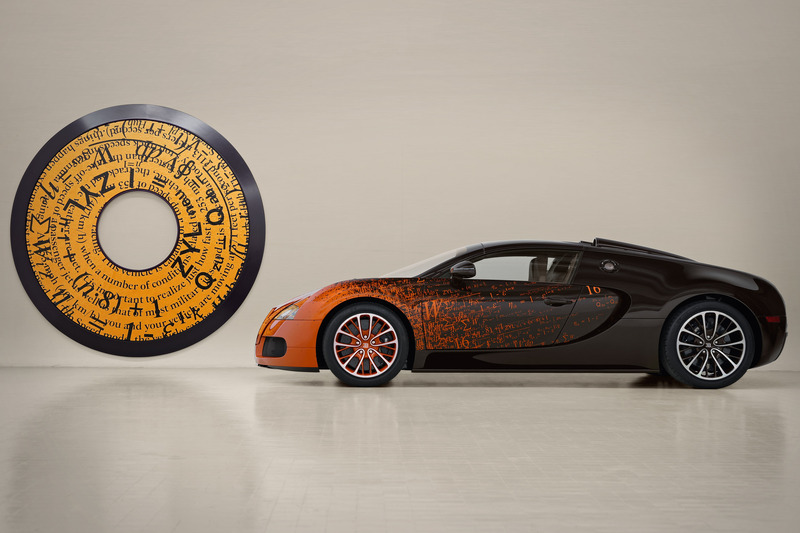 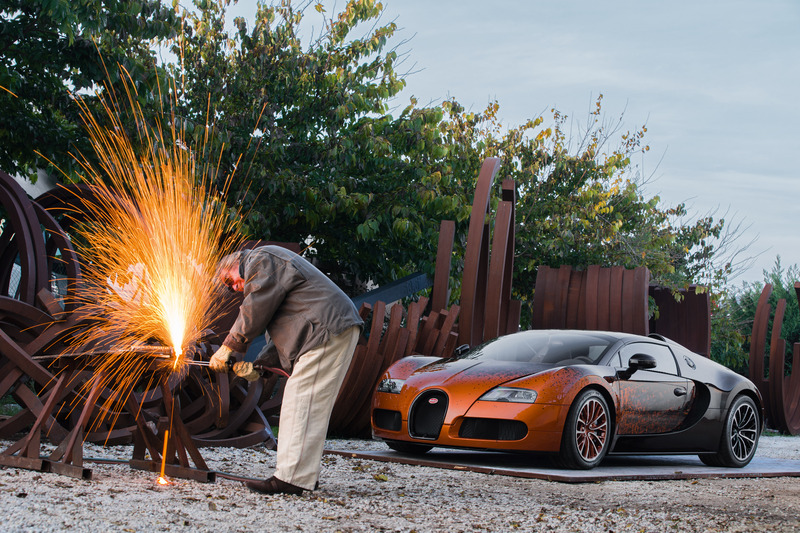 Bugatti has presented their latest special edition Veyron – The Grand Sport Venet is prepared with the help of the French artist Bernar Venet. 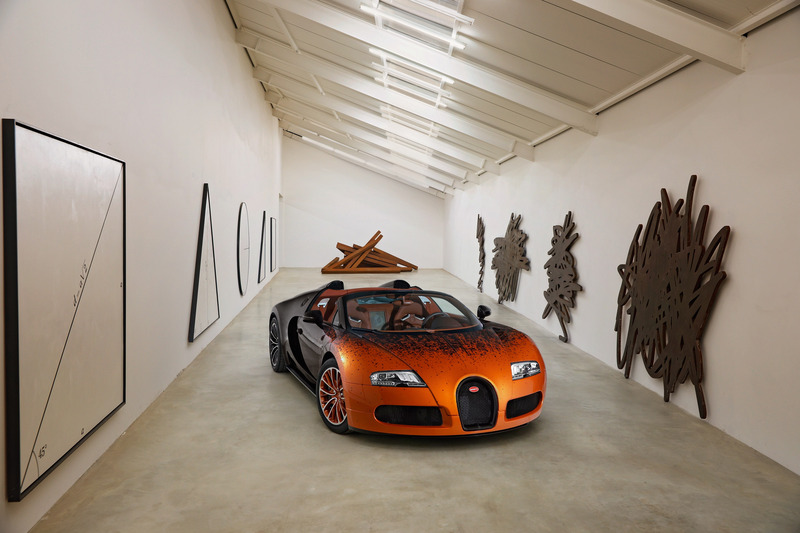 The conceptual artist was asked by Bugatti to help them with this project, which is built for this week's Art Basel Miami Beach. 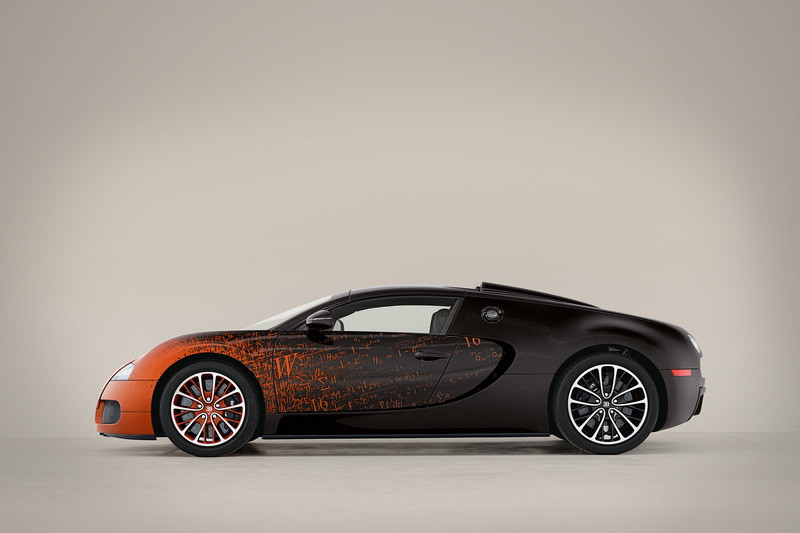 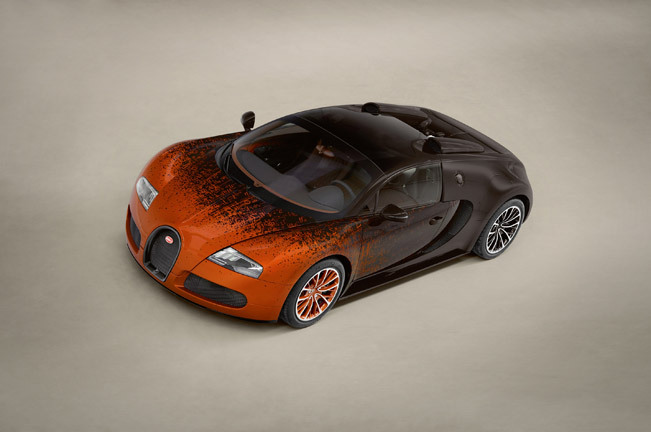 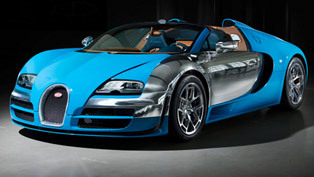 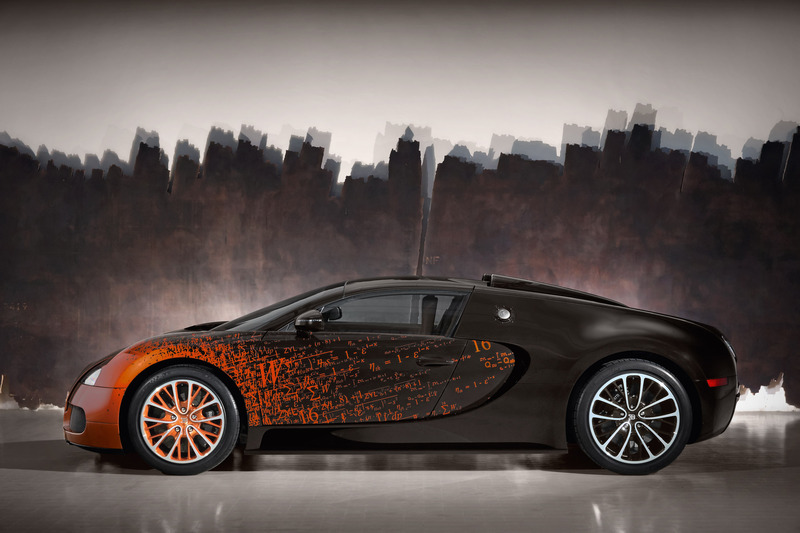 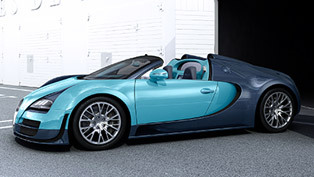 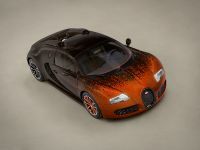 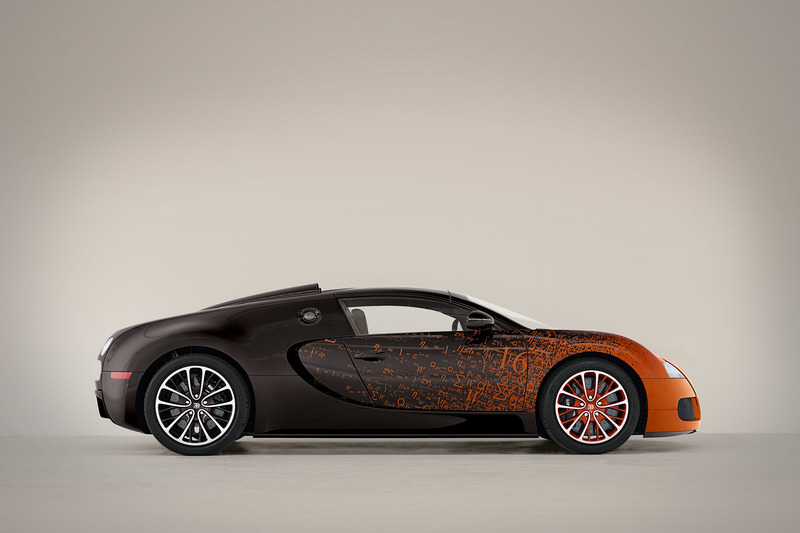 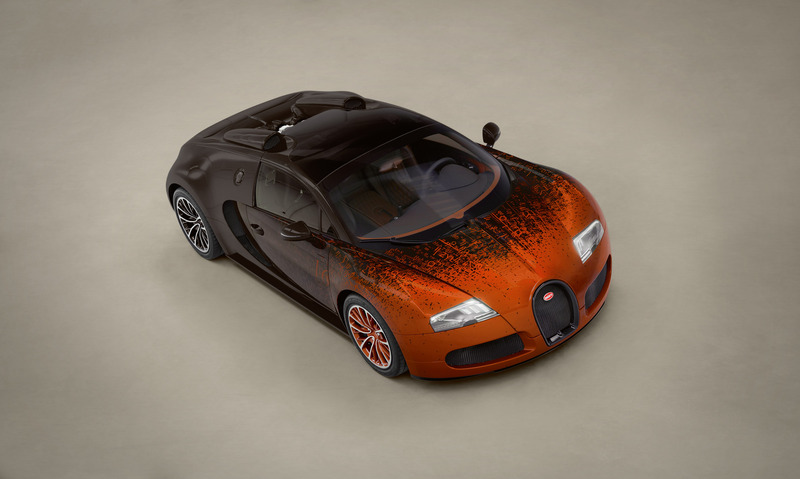 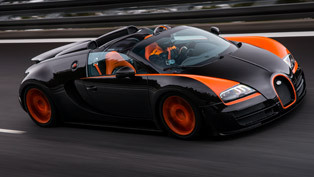 Bugatti Veyron Grand Sport Venet features a special look including rust-like paint starting from the front of the hyper car. 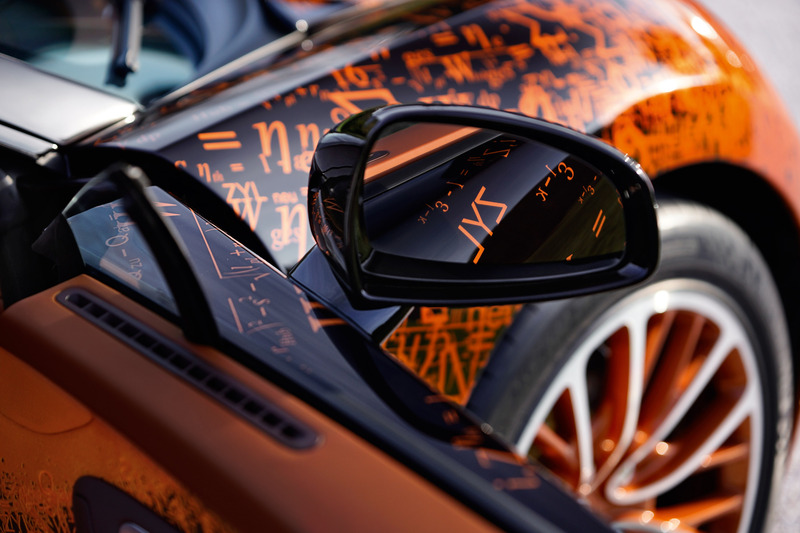 The drawings include many mathematic and scientific formulas and numbers. 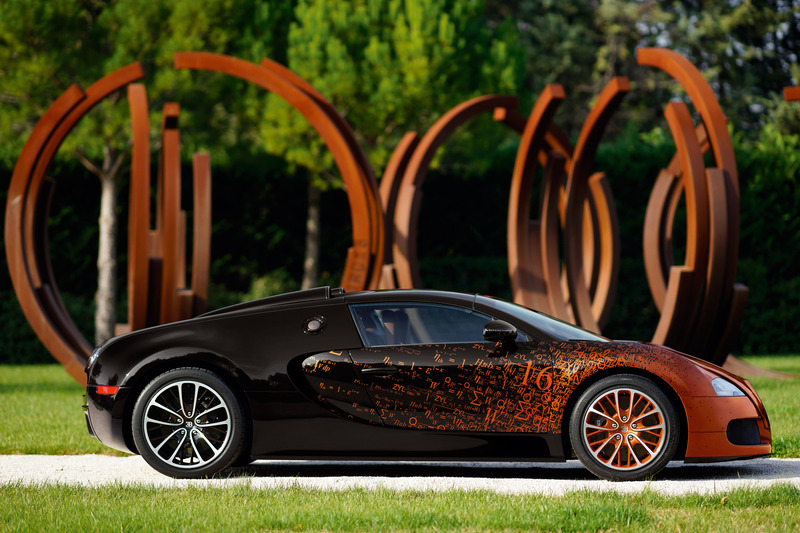 "A Bugatti is already a work of art in itself, one that transports both its beholder and its driver into new dimensions of reality. 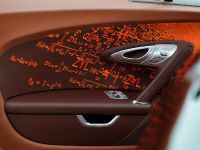 I realized how I could translate my passion for mathematical equations and scientific treatises into three-dimensional form. 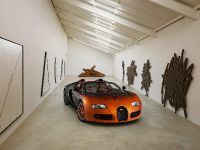 My works are usually self-referential. 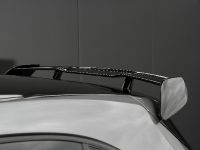 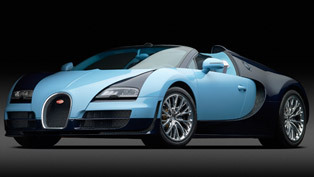 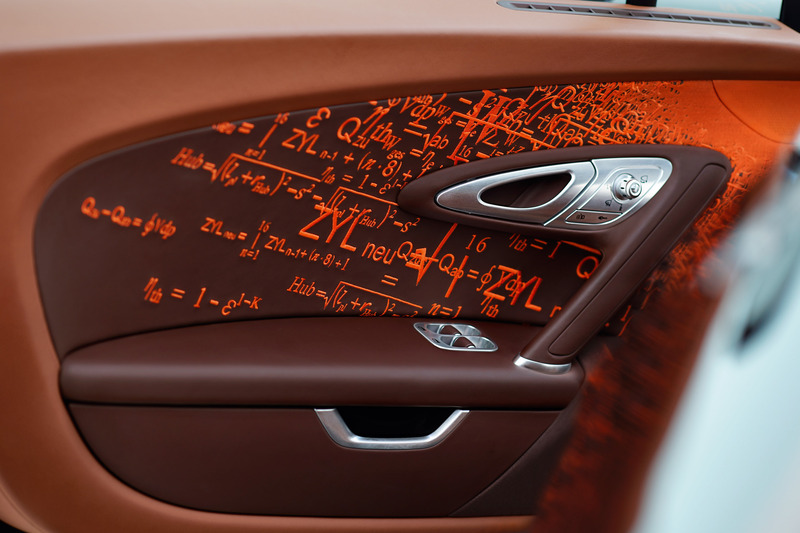 So I found the idea of translating the equations of the Bugatti engineers onto the bodywork of the car very appealing. 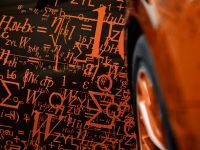 It was, so to speak, a logical conclusion and a new challenge in terms of the specific form of collaboration and implementation. 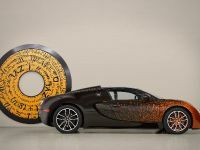 To me, the result is also exceptional when measured by artistic standards and bestows the object with a mythical character. 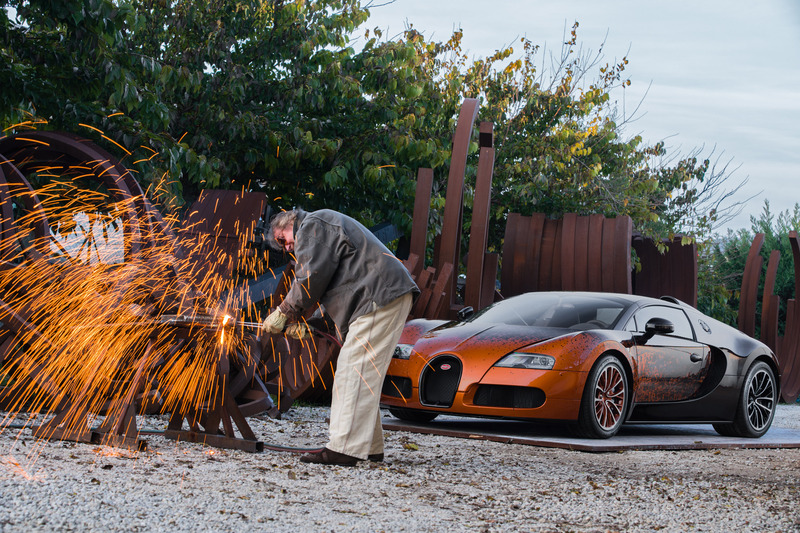 ", commented Bernar Venet. 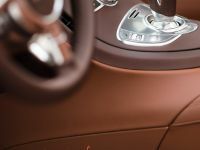 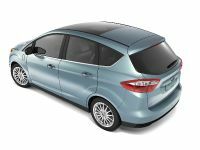 The interior boasts nice brown leather for dashboard, door panels and seats. 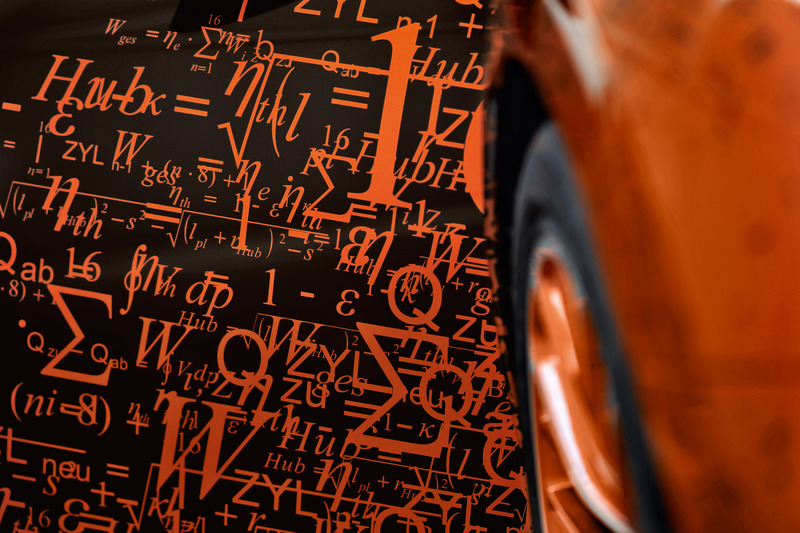 Again, there are some interesting orange formulas. 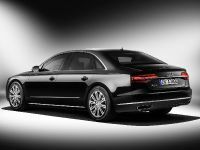 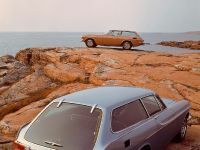 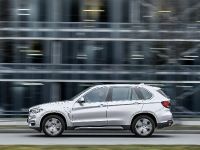 The engine remains same – an 8.0 liter W16 quad-turbo – 1200HP (882 kW) and 1500Nm (1106 lb-ft) of torque. 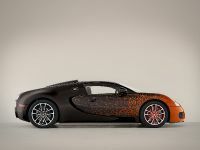 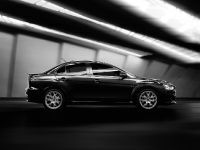 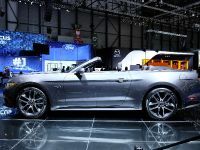 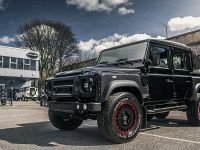 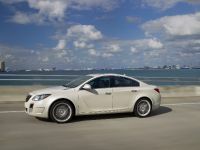 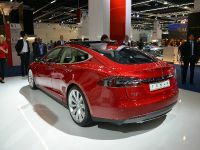 It is mated to a 7-speed dual-clutch gearbox. 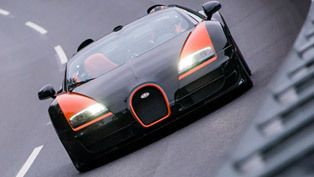 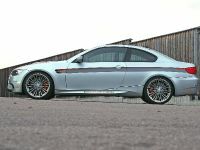 0-100 km/h in 2.6 seconds and a top speed of over 410 km/h (255 mph). 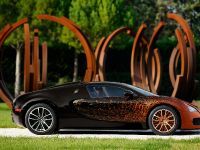 Nothing is mentioned about the price, but probably it will be more than €2,000,000.